heed the call. join the kvlt. PANTHEON OF THE NIGHTSIDE GODS is available as a limited CD Mediabook coming with a lush 24 page illustrated booklet, limited Gatefold LP+CD & LP-Booklet and Digital Album. Get your copy HERE. Presave the album via Spotify or iTunes HERE. 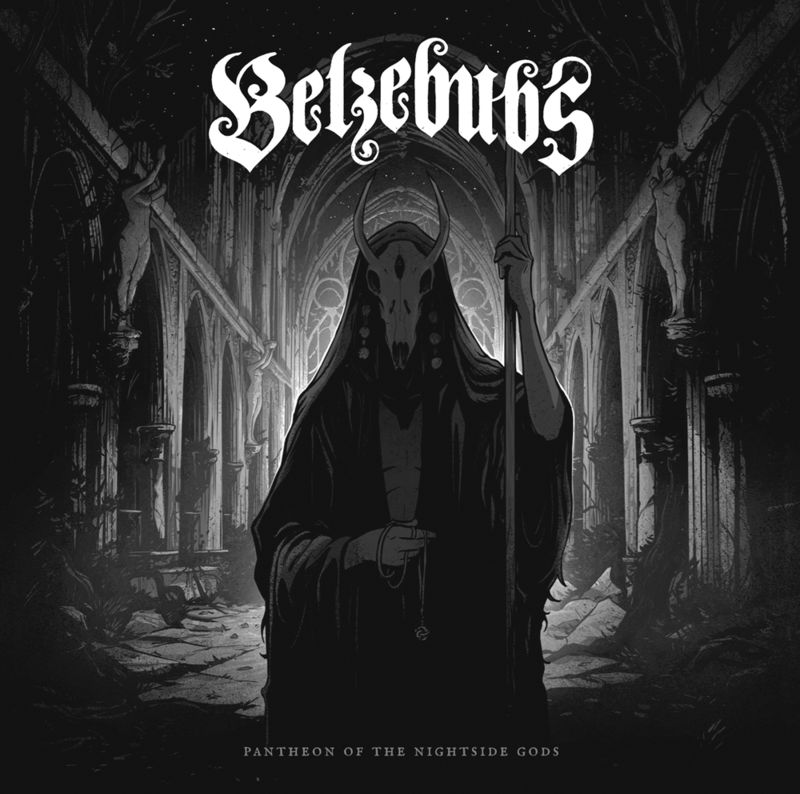 The long-awaited Belzebubs debut Pantheon of the Nightside Gods will be released worldwide April 26th, 2019. With nine tracks and a running time of 53 minutes, the album boasts a well-matured band that is not afraid to explore hitherto unknown depths. Mixed & mastered by industry legend Dan Swanö, Pantheon of the Nightside Gods also features a fierce roster of guest talent, including the likes of Desibelius, ICS Vortex, Skvllcraft and more.